The exhibit is down and will be at the Inspiration show at the Grey Goose Hanger at the Queen Mary, Long Beach! CLICK HERE to order your copy of Surf To Skate online! The authors of Surf To Skate have installed an exhibit featuring over 100 vintage original old school skateboards at Surfing Heritage. 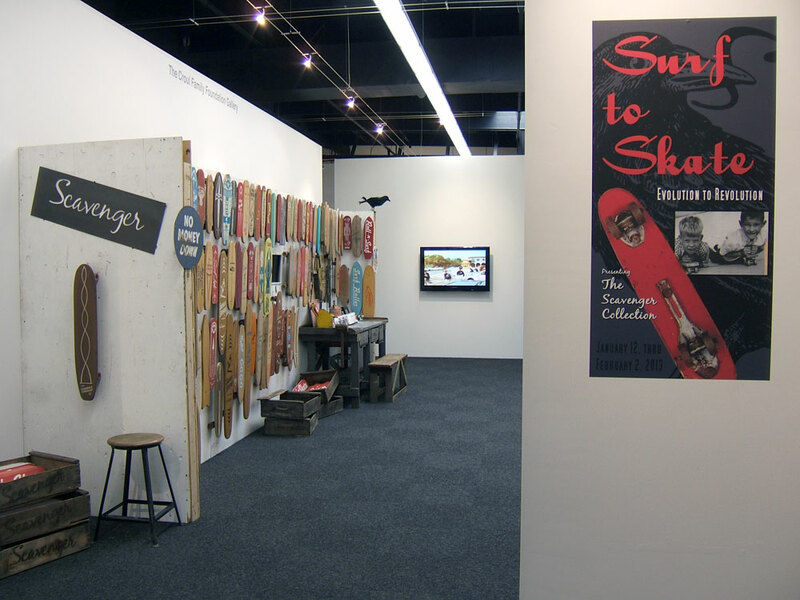 The show will only be up until February 6, so be sure and come by to see one of the best collections of unique classic skateboards around! As part of the exhibit, we're screening an edited version of the first major skateboard film Skaterdater. It's an American short film written and directed by Noel Black, done in 1965. It won the Palme d'Or for Best Short Film at the 1966 Cannes Film Festival and was nominated for an Academy Award in the Best Short Subject category. You can check out set-up and event photos HERE and some of the skateboards HERE. CLICK HERE to order the book online.